Electrolytes are teeny, tiny things with big responsibilities. Fluid retention and balance, blood pH, transmission of nerve impulses, and muscle control are just a few jobs these electrically charged particles (ions) handle. Most people suffering from adrenal fatigue experience some level of electrolyte imbalance. When it comes to electrolytes in the body, it’s all about balance. These particles work best when they’re in an ideal ratio of each other. There are many different electrolytes, but for the purpose of this blog we’ll be focusing on sodium, calcium, potassium, magnesium and chloride. 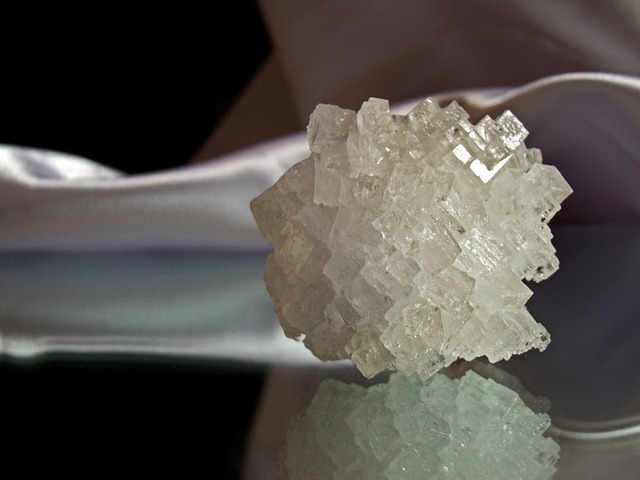 In the blood and interstitial fluid, sodium is the most dominant of the four minerals. The balance of sodium and potassium significantly affects the symptoms experienced by people with adrenal fatigue. People with adrenal fatigue often have strong cravings for salty and savory foods. A craving for salt in people with adrenal fatigue can be explained by low aldosterone (a steroid hormone produced by the adrenal glands). In fact, sodium is probably the most critical element in adrenal fatigue. Aldosterone is responsible for the maintenance of fluid (water) and the concentration of certain minerals (sodium, potassium, magnesium and chloride) in the blood, the interstitial fluid (area between the cells) and inside the cells. As circulating aldosterone levels fall, sodium is removed from your bloodstream as it passes through the kidneys and is excreted in the urine. When sodium is excreted it takes water along. Initially, there is some loss of volume of your body fluids but it does not become severe until your circulating sodium level drops to about 50% of its original concentration in body fluids. At this point, even a small loss of sodium begins to have severe consequences. If you have an electrolyte imbalance, you must be careful how you rehydrate yourself. Drinking lots of water or liquid without adequate sodium replacement can make you feel worse because it further dilutes the amount of sodium in your blood. Avoid soft drinks or electrolyte-rich sports drinks because they are high in potassium and low in sodium, which only add to the imbalance. For more on sodium and blood pressure, read this article by Dr. Wilson. More than 90% of your body’s calcium is found in the bones and teeth. That leaves little for the rest of the body, but this small amount is responsible for big things, like blood clotting, muscle action and hormone production. Calcium also helps settle your nervous system and create inner calm. Like beta fish, it’s best to keep calcium and magnesium separated. They get along together in the body, but when taken together they can cancel each other out, inhibiting absorption and utilization. It’s generally best to take calcium during the day, and supplement with magnesium at night. Of the electrolytes, potassium has the highest concentration in the body’s cells. Like sodium, potassium levels are maintained by aldosterone. When too much salt or fluid is pulled from the interstitial fluids, the small amount of sodium in the cells begins to migrate out of the cells into the interstitial fluid. The cell does not have a great reserve of sodium because it needs to maintain its 15:1 ratio of potassium to sodium. As the sodium is pulled from the cell, water follows the sodium out. This leaves the cell dehydrated as well as sodium deficient. In addition, in order to keep the sodium/potassium ratio inside the cell constant, potassium then begins to migrate out in small quantities. This creates even more electrolyte imbalance, leading to decreased adrenal function. Most of the chloride in your body comes from the salt in your diet. You need chloride daily to balance fluid levels, perform nerve transmissions, move muscles and maintain kidney function. If you’re sodium is out of balance, chances are your chloride is as well. Dehydration is the most common cause of electrolyte balance, so staying hydrated can often prevent an imbalance. With adrenal fatigue, maintaining this balance can be tricky. Drinking lightly salted water can help, especially in the morning when aldosterone levels are low. You may also want to avoid potassium-heavy foods at this time as well. You can continue to drink salted water 2-4 times during the day, varying the amount of salt according to your taste. It’s also recommended to avoid electrolyte-depleting or diuretic foods and beverages such as alcohol and coffee, especially if you have been out in the sun or are otherwise dehydrated. One of the problems people with adrenal fatigue constantly deal with is mild dehydration and sodium depletion. But even in adrenal fatigue, the body is still wonderful, beautiful and incredibly wise. It is our society, our maladaptation to the stresses of modern life, and our poor judgment that need to change. We may not be able to change society but we can learn to use better judgment when it comes to taking care of ourselves and to respond to stress in healthier ways. “Electrolytes: Get Facts On How Electrolytes Affect Disease.” MedicineNet. N.p., n.d. Web. 07 May 2015. “Electrolytes: MedlinePlus Medical Encyclopedia.” U.S National Library of Medicine. U.S. National Library of Medicine, n.d. Web. 07 May 2015. “Fluid and Electrolyte Balance: MedlinePlus.” U.S National Library of Medicine. U.S. National Library of Medicine, n.d. Web. 07 May 2015. Wilson, James L. Adrenal Fatigue: The 21st Century Stress Syndrome. Petaluma, CA: Smart Publications, 2001. Print. I know I have AF. I had cortisol and DHEA salvia tests done. My cortisol is low in the morn and afternoon but higher at night when I want to sleep. Insomnia. Been diagnosed with Fibromyalgia as well. Had a complete hysterectomy, no ovaries either. Dr had me on some bio-identical hormones for a few years. But I chose to quit them. I am hypothyroid, was on Armour Thyroid, but stopped taking it cuz I think the Ashwagandha was causing my throat to strain and feel weird. I started taking DHEA 5mg and Pregnenolone 30 mg.
I’ve been using some of Dr Wilson’s products and found some relief for the insomnia. I didn’t buy the herbal blend but used ashwaganda capsules, Siberan gensing, drink licorice tea and just bought some Maca powder. Only because I already had some of the stuff in the house. I didn’t want to have to spend more money on the herbal blend cuz 10-15 drops at a time, well, how long is that going to last????? I’m 68 yrs old and I’m pretty sure my adrenals are busted. In the past, I used 5-htp, and it helped to stop my brain from thinking all night long so I could fall asleep. I’m thinking I need to spend the money on Dr Wilson’s Herbal blend after all, cuz I don’t know how to get the right dosages by myself. IF I do, should i continue taking the DHEA and Pregnenolone? Any advise you can/will give me I greatly appreciated. Also, my hands would cramp up and freeze in weird positions. I learned it was potassium deficiency, so now am taking Potassium Gluconate 595 mg, and my hands are no longer cramping up. I am drinking 1 tsp of sea salt water in the morning to help with the dehydration. I kept getting dizzy and passed out briefy a couple of times. Had a neighbor take me to the emergency room. That’s when I learned I was dehydrated. They told me to drink 1/2 my body’s weight in water daily. So I have been. Those are good questions. Dr. Wilson’s Herbal Adrenal Support Formula can be a great addition, and will provide multifaceted support. The bottle is meant to last as long, if not longer, than the other adrenal supplements (like Adrenal Rebuilder). It depends on how much you take daily, but on average a bottle will last between 30 and 50 days. It should be fine to take along with the DHEA and pregnenolone. Were these prescribed by a physician? You can always double check with them, or your local pharmacist, to be sure. If you have further questions or concerns on Herbal Adrenal Support Formula, or any of Dr. Wilson’s supplements, feel free to call our customer service line at 888-237-3625. You can also email questions to customerservice@adrenalfatigue.org. I hope this helps! Please let us know if you have any further questions. I found Dr. Wilson’s book very helpful for my husband’s adrenal fatigue. He has low blood pressure, which I understand is common. I have adrenal fatigue too, in fact my cortisol and DHEA levels are lower than his. However, I have high blood pressure and don’t find the advice on salt intake suits me at all. This puzzled me greatly till I came across the term “sympathetic dominance”, which seems to fit my symptom picture perfectly. Do you have any advice for balancing electrolytes for me? Hope this helps – thanks for writing! It would all depend on the root cause of the imbalance. If it’s adrenal fatigue, continuing support via diet, lifestyle and supplementation can certainly help. Can adrenal fatigue cause low potassium? I’ve had issues with low potassium and heart fluctuations for the past month. My heart rate spikes when standing and moving around but goes back to normal when sitting or laying down. It’s really frustrating. Im a really healthy person I eat right and exercise, but I cant exercise because it’s too much for me now. EKGs are normal, and taking potassium supplements but now one knows why my heart is so easily stimulated. It feels like there is a weight sitting on my chest all the time! Its scaring to the point of full blown panic attacks, depression and difficulty sleeping. I need help fast! I want to feel normal again! Adrenal fatigue can certainly bring on electrolyte imbalance, including potassium. In most people with adrenal fatigue potassium will be skewed to the high side, but levels could be low as well. There are other possible causes of low potassium, including certain medications, kidney disease, and low magnesium. The situation you described certainly sounds scary, and we want to help as much as possible, but we wouldn’t be able to give a definitive answer on the cause of the low potassium. Hi – how are you doing these days? I am struggling to find the right balance between sodium and potassium as well. I have Systemic lupus with kidney nephritis. And Anti phospholipid. Severe fatique. Don’t know what to take for the fatique. That’s a good question. Our recommendations for fatigue are mostly based in adrenal fatigue in stress. Unfortunately we are not able to make recommendations based on your conditions. Hello – I have increased my salt intake with food but is it possible to over do it (between 2500 to 3500 mg sodium in daily intake)? I have recently felt my lips dry and salty and foods tasting almost too salty even with just a little salt. I had real energy issues this morning, feeling very off, and then felt better only after eating 2 kiwis and drinking a glass of coconut water. Any thoughts on why this would be the case? Thanks! That is a bit high, though sodium tolerance levels vary by person. With sodium, the phrase too much of a good thing applies. Have you discussed this with your healthcare practitioner? Thank you for this very helpful article! My potassium is really high and is causing me problems too, is there any vitamins that assist with brining this back down? Some vitamins that are required heal AF seem to cause my potassium levels to increase which only compounds the problem. Was thinking about getting a B-injection but don’t want to further complicate my situation. Will this imbalance begin to correct itself as your adrenals heal? Thx for any help you can offer! You’re most welcome! We don’t recommend doing things to bring one electrolyte level down, but rather do things to help provide balance. Supporting your HPA axis can certainly help bring this balance back. Including other electrolytes in your regimen can help as well. I rebalanced my electrolytes by drinking a cup on naturally sparkling mineral water for 10 days. Note that it must be naturally sparkling and not carbonated.